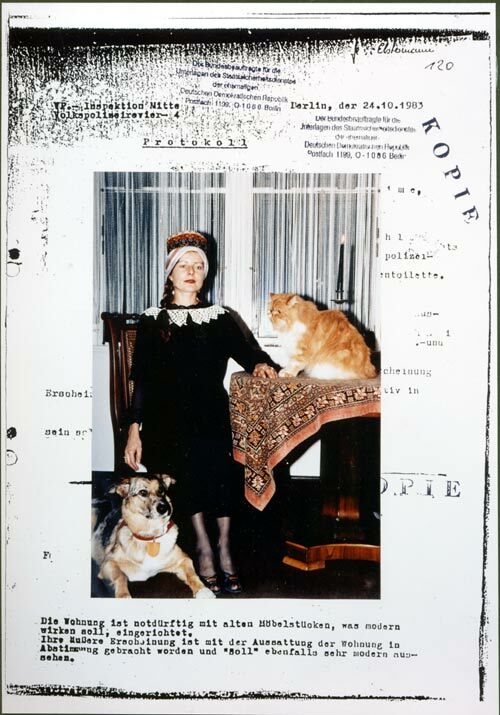 Sara's article "Being the Woman they Wanted her to be: Cornelia Schleime Performs her Stasi File" appears in the December 2016 (no. 24) issue of Gradhiva, a journal of art and anthropology published through the Musée du quai Branly in Paris. The text draws from contemporary theory on archival practice and argues that post-socialist discourse requires new methodologies and adaptive theories to explain artistic uses of surveillance archives. The article has been translated from English into French. More information about the article, including an abstract in English and in French, is available here: http://gradhiva.revues.org/3244. Image Credit: Bis auf weitere gute Zusammenarbeit, Nr. 7284/85 (Until Further Useful Collaboration, Nr. 7284/85), Cornelia Schleime, 1993. Image copyright: Cornelia Schleime.